Do you have a forbidden food? You know, something you really really like but can’t have? I have a whole class of foods just like that, which just utterly breaks my heart. It’s not a lifelong allergy. I didn’t start developing it until I got to be an adult. It’s progressed over the years to the point where I can’t eat any pork at all any more without serious consequences. Seem odd for a food writer? You betcha. Thing is, I remember what it was like… all those things I’m missing. First thing that comes to mind is fried bologna. 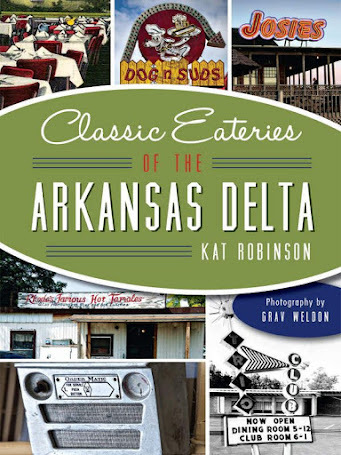 I always thought it was a south Arkansas thing, getting the guy at the deli to cut you inch thick slices off the Petit Jean bologna loaf in the case, taking them home wrapped up in white butcher paper. The smell of fried bologna in the morning just takes me right back to childhood. There’s the bacon. Gosh, I loved peppered bacon. I loved it on a big thick piece of homemade bread with a slice of a fresh tomato and a dollop of Miracle Whip. Forget the lettuce. Crispy peppered bacon was the bomb. And then there was ham during the holidays. Mom would cook the ham up in any number of ways -- with Jack Daniels at Christmas, with brown sugar at Easter, however it came. Leftovers would sit in a large Tupperware container in the fridge sliced up and ready to go into ham salad or a fist of a sandwich tucked into a plastic sandwich bag with the thinnest white bread. They never sat there long. I’ve missed my Petit Jean hams over the years. I go places and smell the salty, sugary cure and try to get that flavor back in my mouth. 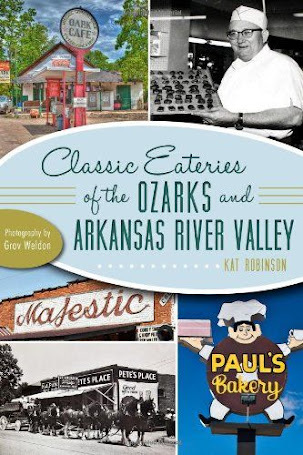 I’ve written about Petit Jean’s operation up in Morrilton, how it’s been around since 1926 and how the Ruff brothers distributed it around the state. I cried one year back in the 90s when my boss gifted me with a Petit Jean ham for Christmas. Thing is, you don’t have to be blue about Petit Jean’s blue label. 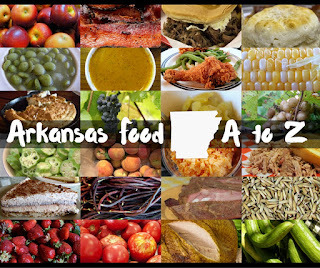 You can be proud to enjoy a great Arkansas product that’s supreme quality. And if you’re lucky, you can win one. 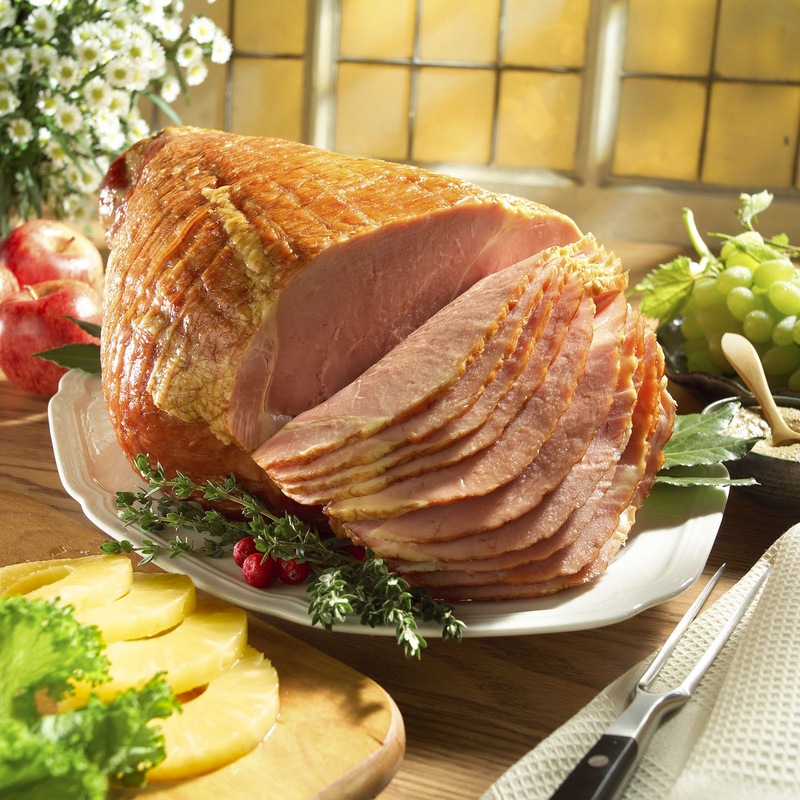 Drop me a comment below for a chance to win a Petit Jean ham for Easter. For a second chance, sign up to be a Facebook fan here. You have until midnight on Sunday, April 17th to make your entry. Winner will be notified and asked for an address on the 18th. Good luck! Me? I think I'll console myself with some of that fabulous Petit Jean peppered beef. Man, that's good stuff! The contest is now closed. Stand by for the announcement of the winner. The winner of the ham is Ruth Thomas. Thank you all for participating and stay tuned for other unique giveaways. I certainly wouldn't mind winning a ham! Love, love, love those Petit Jean hams! It isn't Easter without one!! They are soooo delicious...yummm. Sigh me up! Petit Jean hams will always be the best hams out there. Loved your report & keep up the good work you lucky girl!! I would love to have this ham for Easter. I invite all of my grown foster kids to my home for the celebration. Having an authentic Petty Jean Ham would take this gathering to a higher level. Stomach surgery some 25 years ago ended up with me having a partial inability to eat pork--I cannot digest pork steak, chops, shoulder (for barbeque) or ribs, but have no problem with ham or bacon. (I also can't drink milk or eat ice cream, but can eat cheese and sour cream--weird!) So you have my sympathies. I think I'd have to be put in the looney bin with my Petit Jean ham and bacon. Thanks for a chance at a great giveaway! I used to get a whole Petit Jean ham from my employer every Christmas. I'd love to get one from Kat this spring. Ooh ooh! Pick me! Pick me! I'd love to have a ham. I'm sure my family and I would enjoy the ham as much as we enjoy visiting the restaurants you recommend. Ooh, fried bologna sandwiches...I had my share of those. Used to want to pack 'em in my lunchbox, not thinking about how nasty they'd be by lunchtime. The first time I tasted Petit Jean bacon, my eyes rolled back in my head as it seemed to melt in my mouth. If bacon can cause that reaction, I'd love to find out what a Petit Jean ham will do! Damn I love a HAM! How very sad. A southern girl who can't eat ham. Does that mean you can't have good, REALLY good greens or beans or any of the yummy goodness that comes to mind? You are in luck! I volunteer to eat your share so you shan't worry about it any long. Just go ahead and ship the ham here. I promise to share with others. Strangely enough, I hve found work-arounds. I love taking the carcass from a smoked turkey and reducing it and using the broth in my PurpleHull peas. There's turkey ham, which works in some applications. But it'd sure be nice if I could get to a point where I could eat pork again. I'd be so happy about that. Oh I miss my now ex mil's peppered petit jean hams! I'm in! Did someone say PORKKKKK!!! I hope I win!! Hey, Kat, some chiropractors do allergy work. My aunt is eating things now that she hasn't been able to eat in years and years, and she said it was because her chiropractor did specific type adjustments. Mine in Searcy does some allergy work, also, but I don't know what type. I love ham would love to hae one for Easter. Would love to try the ham and make sure it is as good as claimed. would love to try ham and verify all the claims of goodness here! that would stink, my condolences!! A ham would be great for my family! Have you tried organic pork? I grew up in Conway County and still live here. I love and use all Petit Jean meats. 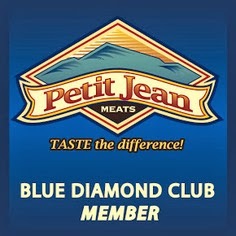 I always look to see if a restaurant uses Petit Jean Meats. I'm proud that this National Institution is in the county I am from and I can tell people that with pride. I am happy I never had to be without Petit Jean Meats. I have a grandson now and I want to fix an Easter Dinner for my family. We now have 5 generations of Petit Jean Meats fans/lovers!! Thank you! I had several uncles who worked at Petit Jean Meats, so no holiday was complete without one of those beautiful hams. Even on Thanksgiving, it's my meat of choice. I would never post a comment just to get a delicious ham. Nope, not me. I'm a fan on FB and follow the Time's Blog. Looking forward to an Easter ham. I'm a FB fan and follow your various review sites, especially the Time's blog. 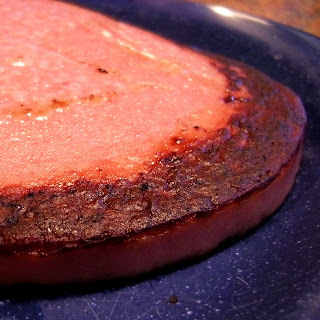 Thanks for bringing back some of my childhood memories w/ fried bologna. 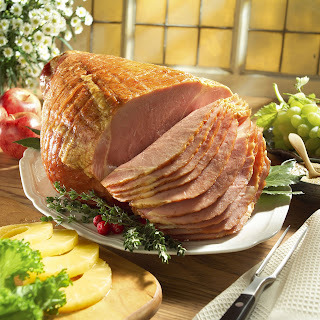 I have never bought a Petit Jean Ham and would love to have one for Easter. I can not imagine the pain you go through from having to pass up a food you remember fondly and now can't eat. But at least you can still have wild boar on occasion, and turkey bacon is not bad. Sunday is my birthday so I would love to win that ham! I live about a mile from the Petiti Jean plant and pass it on my way to work every day. Petit jean ham is a real Arkansas treasure. A contest for ham! I'd like to enter, too. I enjoy your dining suggestions on KARN. 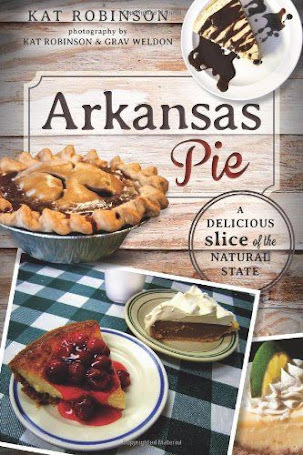 Love that Petit Jean ham ... and your blog, too! 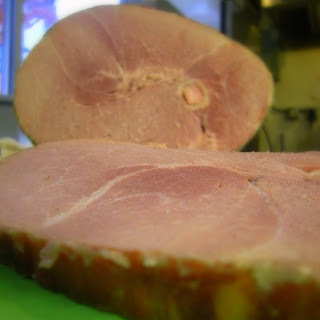 Love Petit Jean ham ... and your blog, too! Love how you have these great pictures with your articles. Like how you travel to different parts of the state! Petit Jean bacon is the best of the best. We bake it on a cookie sheet and it cooks up beautifully that way. I love a good ham and would like to try this particular one since you seem so sad without it. I would love to win a ham for Easter! I'm a facebook fan too. My family still laughs about the time I visited Arkansas from Texas and my step-mother tried to convince me to carry a Petit Jean ham in my lap on my return flight. I did not do it, but it was very tempting. Boy I could slam, a Petit Jean Ham! I would love to win a ham. Mmm. Ham. Petit Jean ham is the best!! Yumm, Ham! Thanks for the chance to win! I'm also a facebook fan! Just moved to LR and would love to try this ham! Read you posts about your storm damage and hope things get better soon. Nice post, I enjoy reading this post. Thanks for sharing. I will keep come back to this site.